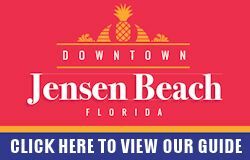 Jensen Beach, FL — The Jensen Beach Fine Art & Craft Show is the area’s first major fine art and craft show to celebrate the new year. The popular art show is produced by the Jensen Beach Chamber of Commerce and is held the weekend of January 14 and 15 in historic downtown Jensen Beach. The show, in its 11th year, will feature a wide variety of art disciplines that include oil, acrylic, and watercolor paintings, mixed media, sculpture, photography, pottery, jewelry, textiles, graphics and fine crafts. The event has quickly earned the reputation of being one of Florida’s premier fine art shows and is considered one of the state’s most authentic. Several loyal artists who return each year were quoted in the Sunshine Artist Magazine praising the Chamber of Commerce for a fine job producing and jurying the show. Most the 125 artists who were accepted to display and sell their artwork and handcrafts at the show are from Florida. Twenty-one of the artists selected are local artists. Other artists travel to Jensen Beach from Georgia, Maine, Wisconsin, Ohio, Kentucky, North Carolina, Massachusetts, New York, Vermont and Michigan. While attending the show, art lovers can also check out downtown Jensen Beach art galleries, gift shops and enjoy the food and music provided by local restaurants. The free admission art show hours are from 10am until 5pm on both Saturday and Sunday, January 14 and 15. 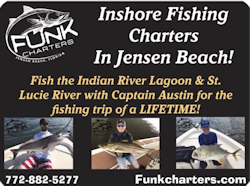 The Jensen Beach Fine Art & Craft Show is sponsored by TCPalm.com, Treasure Coast Newspapers, Bunkhouse Coffee Bar, Coast 101.3, BJ’s Wholesale Club and Starbuck’s.